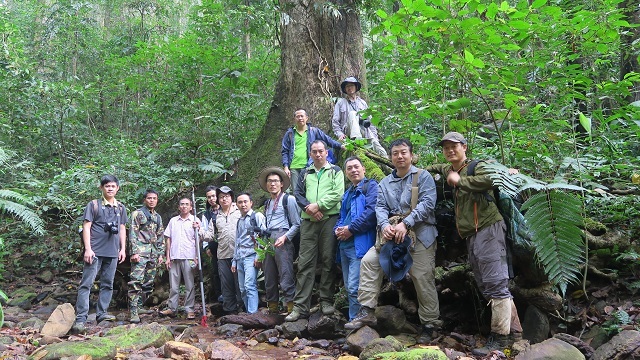 At the invitation of Biotechnology and Ecology Institute (BEI) of Lao PDR, a 13-person team of Xishuangbanna Tropical Botanical Garden (XTBG) conducted a large-scale biodiversity investigation in northern Lao from March 20 to April 12. The field survey was mainly conducted in national parks and national protected areas in Nam Ha National Bio-Diversity Park, Phou Hin Phee National Bio-Diversity Park, Phou Dean Din National Bio-Diversity Park, and Phouthaleng Protected Areas. During the field surveys, the researchers got a general understanding on birds, vertebrates, mammals, vascular plants, and mosses in northern Lao, by collecting specimens, market investigation, villagers’ communication, etc. The researchers collected about over 800 sheets of plant specimens in 300 species, 80 specimens of fish, and 150 DNA materials of animals. They also set 64 infrared cameras in the dense forest and recorded 43 species of birds. The field investigation team was headed up by Prof. Quan Ruichang, assistant director of XTBG. A second field survey in northern Lao may be carried out in October or November. The Lao People's Democratic Republic (PDR) is located in the middle of the Indochinese Peninsula and is surrounded by China, Vietnam, Cambodia, Thailand, and Myanmar. Lao PDR is one of the landlocked countries where it is entirely enclosed by land, but it is located in the heart of the Greater Mekong Subregion. Because of its geological characteristics, such as wide range of latitude and altitude, rich water resources, and large forest cover, and climatic characteristics, Lao PDR is home to a large number of flora and fauna. 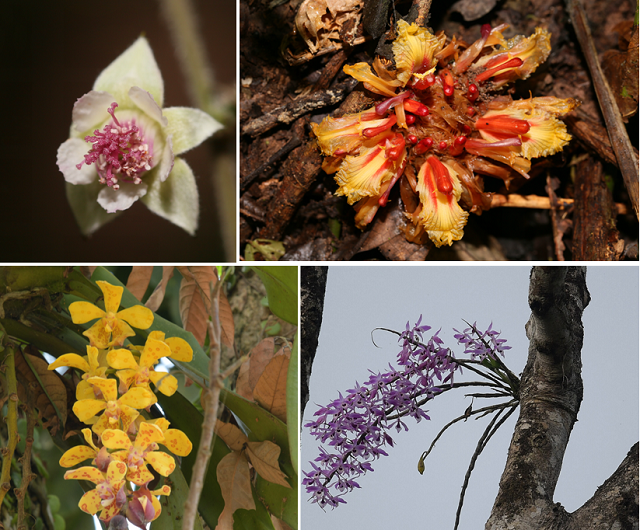 Although biodiversity in Lao PDR is still rich, it is exposed to several threats, including increased population, land-use change, resource extraction, and human-induced illegal activities causing significant reduction of its richness. Although government has set biodiversity conservation as one of the priority issues in Lao PDR and different stakeholders such as researchers, professors, local NGOs, and international organizations made efforts to prevent biodiversity loss and species extinction, there are still many challenges that need to be overcome because of the lack of capacities on human and institutional resources in Lao PDR.